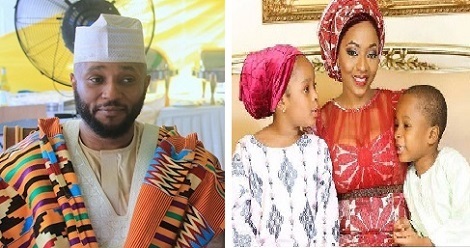 There was drama at the Tinubu Magistrate’s Court yesterday afternoon following the disappearance of Aamir Atiku, the seven-year-old son of Aminu Atiku and his ex-wife, Unmi Fatima Bolori. The boy’s mother claimed that Aminu, son of former Vice President Abubakar Atiku, snatched Aamir and drove off with him. The alleged incident occurred at 1:59pm, minutes after Aminu lost custody of his daughter Ameera Atiku, 9, and Aamir 7, to Bolori. Chief Magistrate Ayeye granted Bolori full custody of the children after Aminu failed to file a response to her application for child custody. The court ordered Aminu to pay Bolori N250, 000 monthly for the upkeep of the children, beginning from this month. It also ordered Aminu to carry out medical insurance on the children among others. Bolori’s November 2017 application for child custody proposed a nine-point ‘statement of arrangement’ for the children. It was argued by her counsel, Gloria Albert-Ekpe (Mrs.) and Ethel Okoh from Festus Keyamo Chambers. The applicant prayed the court to order Aminu to pay her N300,000,00 monthly as feeding and maintenance allowance for the kids’ upkeep and N1million yearly as their clothing allowance. At the resumed hearing of the matter yesterday, neither Aminu nor his legal team was present to announce appearance. “The respondent is ordered to pay monthly upkeep for the children in the amount ofN250, 000.00 monthly beginning January 2018. When Aminu and his legal team eventually arrived at the courtroom at around 1pm, the proceedings were practically over. The Nation observed him laughing and playing with both kids in the courtroom. At about 1:45pm, he consulted with his lawyers and walked out of the courtroom. According to Bolori’s counsel Okoh, Aminu “snatched” his son from the mum, locked him in his car before driving off”. Okoh said last night that Aminu had refused to hand over his son to her client. She said his mother was worried because they were due to catch a flight to her Abuja home today. On October 18, 2017, Chief Magistrate Ayeye temporarily remanded Aminu in a transit cell within the court’s premises after citing him for alleged contempt. Atiku allegedly kept Amir from his mother, contrary to an October 11, 2017 order of the court.